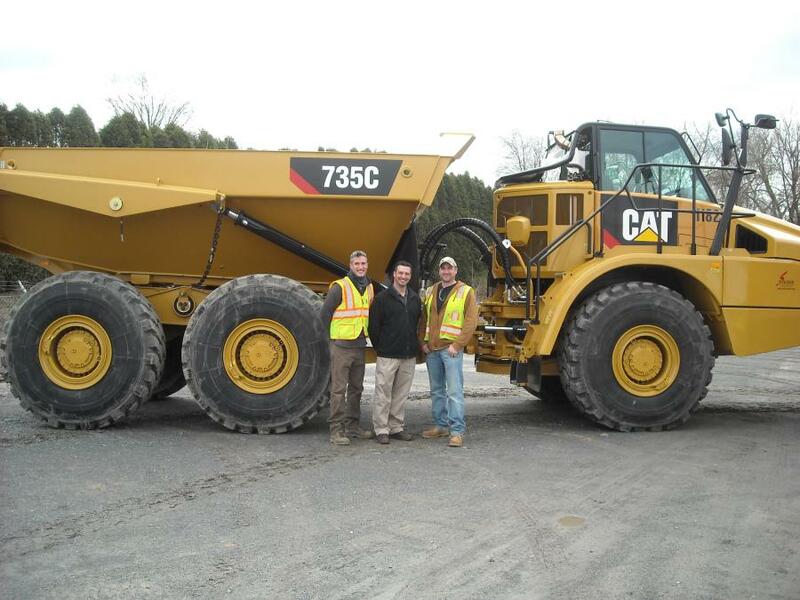 Key players from Schlouch and Foley pose in front of Schlouch’s new Cat 735C articulated truck at the company’s headquarters in Blandon, Pa.
Don Swasing, COO of Schlouch Incorporated (“Schlouch”) of Blandon, Pa., and his team recently prepared for a piece of company history. 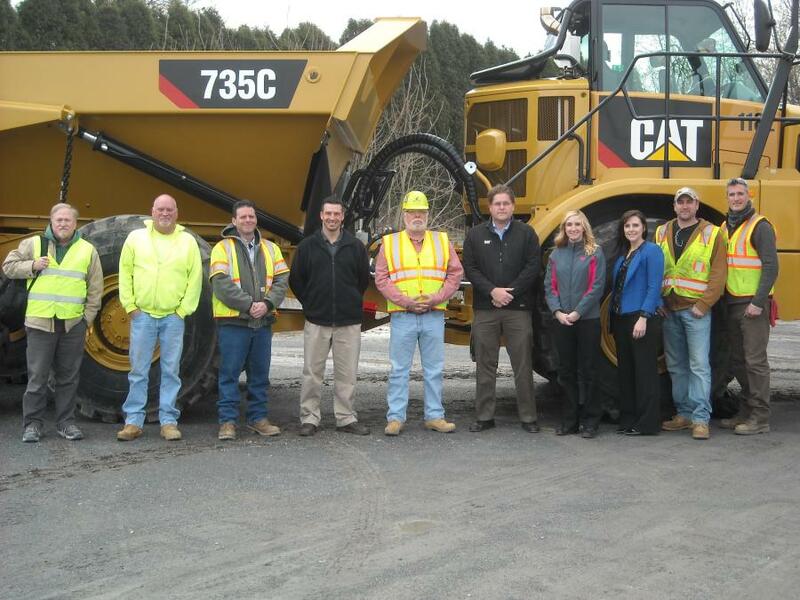 To many, the official handoff of the company's new Cat 735 articulated dump truck purchased from Foley Incorporated of Piscataway, N.J., would be momentous enough: A new piece of equipment promises forward strides to a future filled with opportunities for companies excited to grow their foundations. But for Schlouch, and, in turn, for Foley, this event was indicative of a new chapter, and perhaps most importantly, a new relationship built on a strong foundation of trust. For Swasing, trust is key to any of his dealer relationships. With a business to run and equipment to get — sometimes on short notice — Swasing said that trust in his dealers to deliver what he needs is imperative to Schlouch's success. Barry L. Schlouch, the company's president, feels the same. He said that when it comes to building a strong customer-dealer relationship, a shared long-term commitment between his company and an equipment dealer is key. 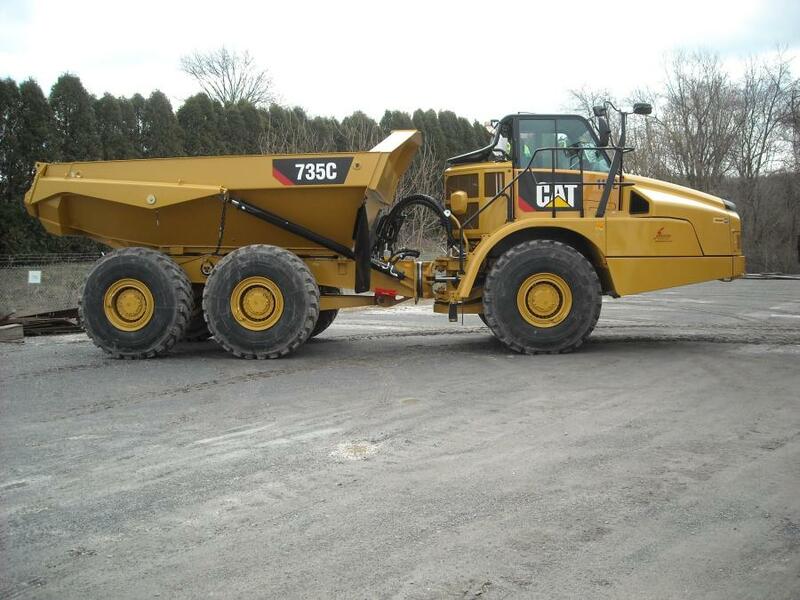 He added that this extends to sharing the same fleet standards and tactics that lead to a safe work environment, as well as expenses such as finding solutions that lead to the lowest possible owning and operating costs while combining the greatest possible productivity and uptime. 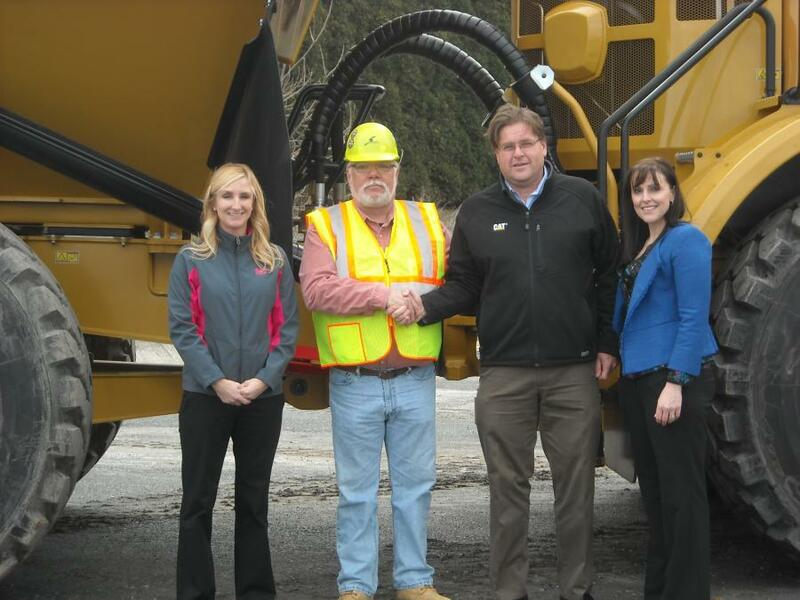 When Ransome Cat of Bensalem, Pa., which had served as Schlouch's long-time dealer under the direction of President Kristin Fitzgerald, merged with Foley Cat of Piscataway, N.J., in February 2018, the Foley team knew that building and maintaining a trust-based relationship would be paramount for success. “Jeff [Merle] and I almost instantly had a very good relationship where we talked about making sure that the relationships transitioned as easily as possible,” Fitzgerald said of Merle, who is vice president of Machinery Sales at Foley. “It is important to Foley to have the Ransome territory customer base integrate with Foley as seamlessly as possible. Our customers have a job to do and they need to understand who their point of contact is so they can get their jobs done. But when Swasing learned of the merger, he was unsure if transitioning their business to Foley would be in Schlouch's best interest. While the company's relationship with Ransome had been strong, that was no guarantee that dealing with Foley would lend itself to the same type of partnership. If there was any hope of Schlouch doing business with Foley moving forward, Swasing felt he needed to first get on firm ground with the dealer's key players. Swasing worried that it might be time to look for another dealer entirely. However, Foley was not about to give up on Schlouch. Merle may have been a new player in Schlouch's game, but 31 years at Foley meant he was no stranger to handling new customers. Both Merle and Jamie Foley, CEO of Foley Inc., worked together to build a new relationship with Schlouch. “At first, I was not sure [Swasing] wanted to meet, but we got through that Jamie is Foley's third-generation Caterpillar dealer, and he's a straight shooter. He wanted to build a successful relationship with Schlouch as well,” said Merle. Swasing liked what he saw. And Swasing wasn't the only member of the Schlouch team impressed with Foley's approach. King also indicated that he has high hopes for the Schlouch-Foley relationship as the companies move forward together. 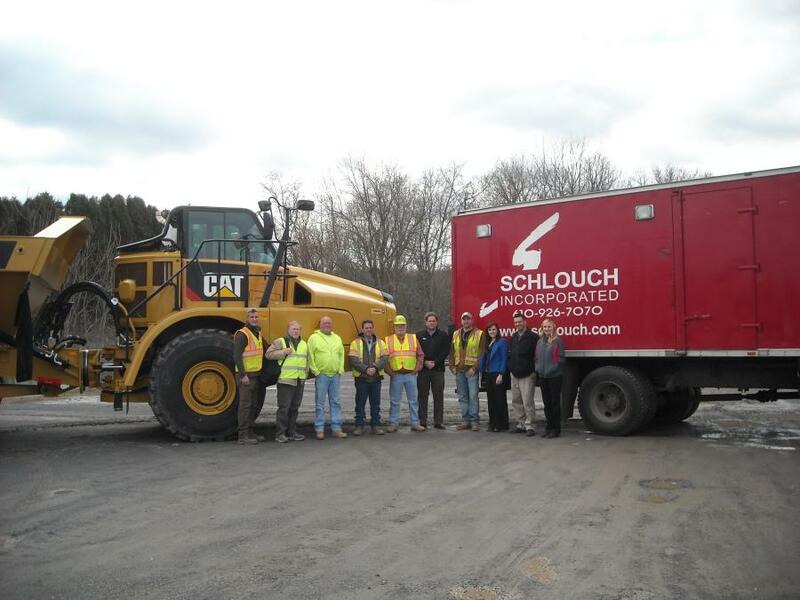 Schlouch Inc., a commercial, public and residential site preparation specialist, has been serving eastern Pennsylvania. Founded by Barry and Deb Schlouch in 1983, Schlouch's business has grown over the years to 250 employees and more than 300 pieces of equipment, including 150 pieces of heavy equipment. Customers Line Up for Bargains at Foley CAT's One Day Sale Event at Foley Rents Location in Piscataway, N.J.
Ransome CAT Holds One Day Sale, Accugrade GPS Demonstrations at Headquarters in Bensalem, Pa.